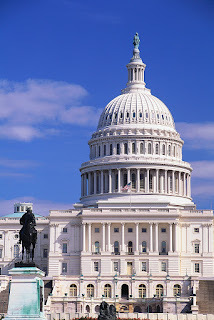 professionals attend healthcare talks in D.C.
Greetings from Washington, D.C.! I’m here in our nation’s capitol to mark Health Information Professionals Week, a week dedicated to raising greater awareness and celebrating the evolution of health information professionals. For the second year in a row, I’m celebrating our profession and leadership through advocacy by participating in the American Health Information Management Association’s (AHIMA) Winter Team Talks and Hill Day 2012. I told you a little bit about my experiences as a first-time attendee last year, and I’m proud to again represent the Pennsylvania Health Information Management Association (PHIMA) as State Advocacy Coordinator. The Team Talks and Hill Day is a time to discuss important issues that are shaping the world of health information management. This is a very exciting time to be in our nation’s capitol and a critical time to advocate for healthcare reform. Last night on CNN, there was live coverage of folks gathering outside of the Supreme Court in preparation for the debate over the constitutionality of the Affordable Care Act. It’s going to be a busy week, so I wanted to bring you some of the highlights here on the blog. I hope to bring you photos, video, and more on the happenings of Hill Day. Today consists of a full day of educational sessions. This morning’s session included a welcome and address from AHIMA President, Patty Sheridan, and AHIMA CEO, Lynne Thomas Gordon, on Strategy and Reality 2016. Topics for the rest of today’s sessions include ICD-10, meaningful use, electronic health records (EHRs), health information exchange (HIE), consumer education, and data governance. On Tuesday, I will be meeting with members of Congress. Last year, I met with staff from the offices of Senators Robert Casey, Patrick Toomey, and Representative Mike Fitzpatrick. Tomorrow morning, I will report to the Rayburn House Office Building to find out who I’ll have the opportunity to meet this year. Stay tuned for more coverage live from Capitol Hill! Patrick Coyle: What hasn’t he done?